Part of the job of a medical biller includes sending claims to insurance companies and making sure those claims are paid and finalized. Want a much more detailed guide to denials and appeals? 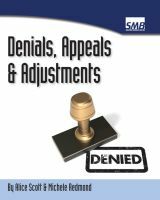 We recommend you have a look at the ebook Denials, Appeals & Adjustments, written by 2 experienced medical billers. If you don't think the claim was paid correctly, or if the entire claim was denied and there was no payment made, you can appeal the claim to see if you can get further payment from the insurance company. Medical coding specialists enter procedure and diagnosis codes from patient visits onto insurance claim forms. Medical billers then send these claims to insurance companies, along with specific charges for each procedure code. When an insurance company receives a claim, they go over the procedure codes and charges. They determine whether or not they will pay on each individual code, and how much. This is called the claims adjudication process. Most large private health insurance companies have special claims editing software that they use to determine which line to pay. Smaller insurance companies may complete this process by hand, when claims entry specialists determine which lines to pay. Most of the time this process correctly pays the procedures listed on the claim. Sometimes, either the claims entry specialist or the claims editing software incorrectly determines that a certain procedure code is not payable, and denies the code. Sometimes the entire claim gets denied. This results in either the entire claim being returned to the provider (without payment) or with payment only on a few lines and not on the rest. Depending on the code and the reasons the code was denied, medical billers can appeal the denied codes for payment. 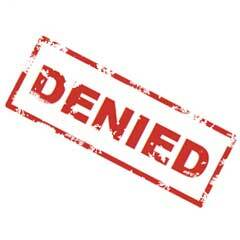 Medical billers can't appeal just any denied insurance claim. There has to be a legitimate reason for the appeal and why the provider thinks the claim should be paid. This page explains how to send an appeal for a claim denied due to timely filing, and includes an example letter. For each one of these appeals, the provider has to explain why they think the code (or claim) was denied incorrectly. They also have to provide supporting documentation to support their appeal reason. Note: This list is not exhaustive, and there may be many other reasons to appeal a claim. A letter of appeal or explanation: This letter explains to the insurance company why you are appealing the claim and how your documentation supports those reasons. Supporting documentation: You may have to include the progress notes from the patient visit, patient labs from the visit, or other formal documentation from the insurance company or medical committees. Any of these could explain why you think the denied insurance claim should have been paid differently. Insurance EOB or claim number: Many times, an appeal gets lost or processed as a duplicate because the insurance company can't connect the appeal to the original claim. 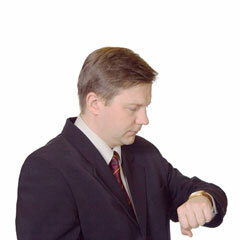 Insurance companies receive thousands of claims a day. It's essential to make sure your appeal is easily recognizable by including the claim number from the original claim processing, or include a paper copy of the insurance's explanation of benefits (EOB). Almost all insurance companies have a specific appeal process which you'll need to follow. Some companies require you to complete another form (designed by them specifically) so they can process the appeal. After you've completed the necessary paperwork for your appeal, you have to send it to the insurance company. This step is just as important as compiling the correct documentation. If you don't send the appeal to the correct address, it will most likely get lost, and your appeal will never be processed. 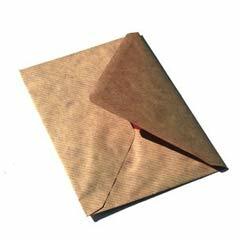 Generally, for the first level of appeal, you will need to send it to the claims mailing address. But sometimes the appeal needs to be sent to the address on the EOB or even a completely different address. It's very important to know where to send your appeals for each insurance company, as all of them will vary. Initial appeal or claims reconsideration: This first level usually results in a correctly processed claim. This is sometimes referred to as a "claim reconsideration", because you are asking the insurance company to reconsider their processing of the claim. Secondary Appeal: This is a longer and more intense process. Instead of the appeal being processed by a lower-level claims processor, the insurance company may send the claim to an appeals specialist. This person reviews your material in-depth and make a determination for payment, based on the insurance company's guidelines. Provider Relations: Each insurance company has a provider relations representative, who specializes in communication between providers and the insurance company. If all or your other avenues of appeal fail to produce a correctly processed claim, your only option may be to contact your provider representative to see if they can help get your claim paid. If this process fails to get your denied insurance claim paid correctly, your only other option may be to report the insurance company to your state medical association. They will help you file a formal complaint and possibly launch an investigation into the insurance company's claims processing. The appeals process can be a long, drawn out fight between what you and the insurance company think should be paid on a denied insurance claim. Because of this, it takes careful consideration to determine which claims are worthy of appeal, and which ones aren't. For example, it may not be worth fighting for a urinalysis (81003), which can pay as little as $1.00. On the other hand, it will definitely be worth fighting for a catheterization (51701), which can pay over $50.00. Think it through and choose intelligently. The ebook Denials, Appeals & Adjustments has loads more info on this topic.